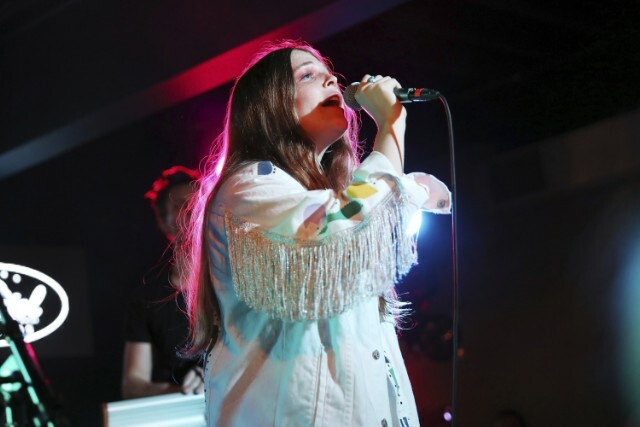 “This is the first festival I’ve ever played,” Maggie Rogers told the crowd. With her eyes painted in electric blue eyeshadow, Rogers sang songs off her debut EP Now That The Light Is Fading, such “Dog Days” and “On and Off.” Halfway through the set she gushed, “I just don’t think I’m going to get over this” before throwing on a pair of red-tinted shades. 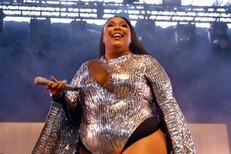 She then invited her friend and former New York University classmate, Fletcher, on stage with her to energize the audience with a cover of The Spice Girls’ “Wannabe.” She ended with the fan-favorite (and career-launching) “Alaska,” which came out a year ago to the day. Below, enjoy footage of the cover, which sounds more like gleeful karaoke to me.